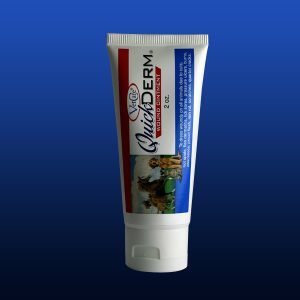 7.5 gram ointment is for smaller wounds and skin conditions on small animals. The ointment only requires ONE application a day, has a three- year shelf life and excessive heat or cold will not compromise the efficacy. 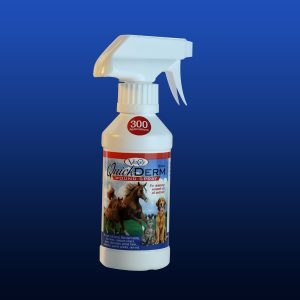 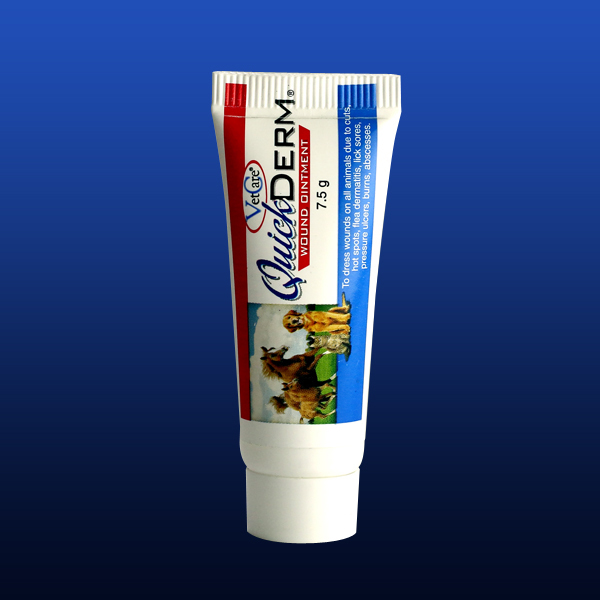 QuickDerm’s formulation is steroid and antibiotic free and “will not test” on show horses.